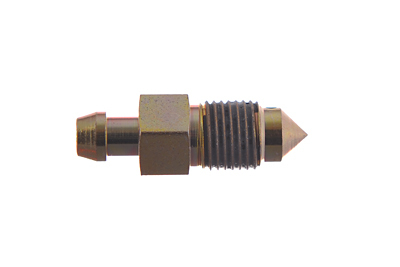 SB1010S from the bottom of the threads to the pointed end of the bleeder has a shorter distance to allow for better thread engagement than the SB1010. Threading an SB1010 into an SB1010S application, the bleeder will only thread in 2 or 3 threads before it bottoms out. This is not a proper install.